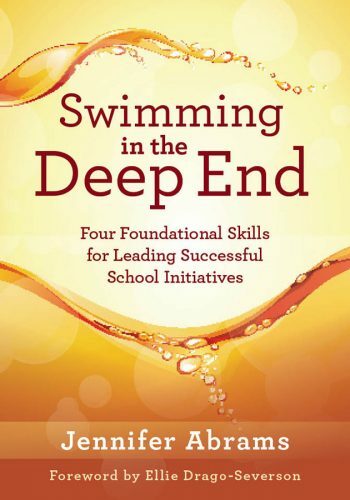 Listen to Jennifer on Principle Center Radio discussing about her new book Swimming in the Deep End: Four Foundational Skills for Leading Successful School Initiatives. Listen to Jennifer on The Ed Narrative podcast in a conversation about finding one's voice. Listen to Jennifer discuss Having Hard Conversations on the Chicago Coaching Center Podcast. Listen to Jennifer talk with Noa Daniel about her personal playlist songs. Listen to Jennifer on the TL Talk Radio podcast where she discusses her book The Multigenerational Workplace. Listen to Jennifer on the Teachers' Education Review, the Australian podcast for teachers that bridges the gap between research, policy and practice. Listen to Jennifer talk about establishing clarity before hard conversations on the Beyond the Staff Room podcast with Derek Rhodenizer. Listen to Jennifer talk about "Ayuda!" on KQED Radio with a Perspective.